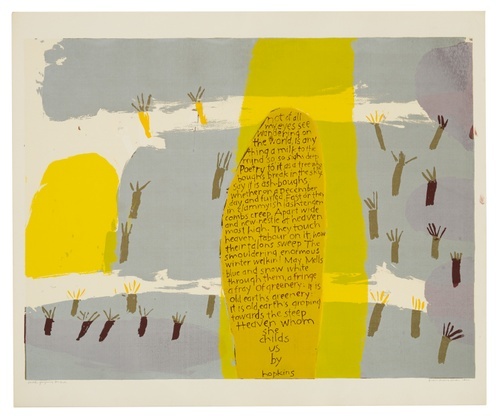 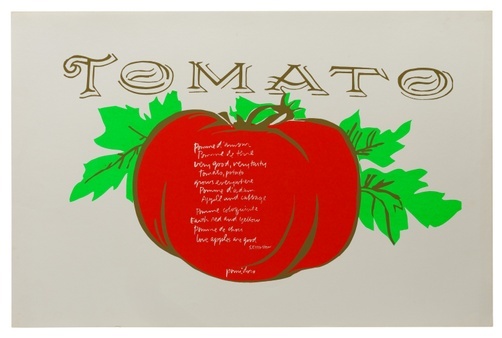 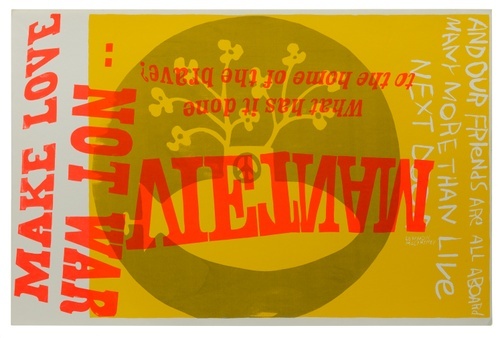 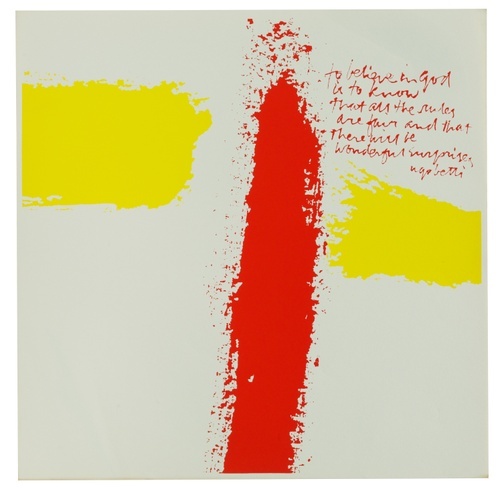 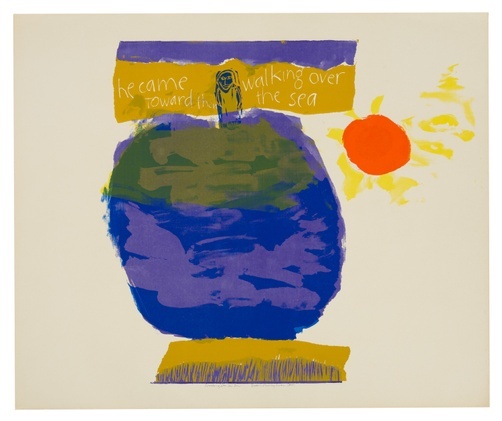 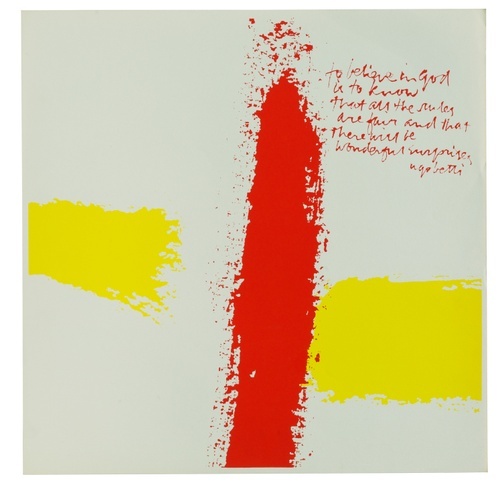 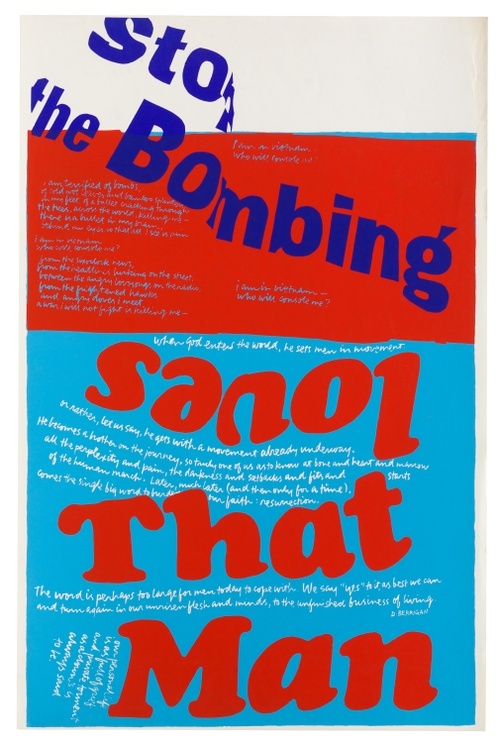 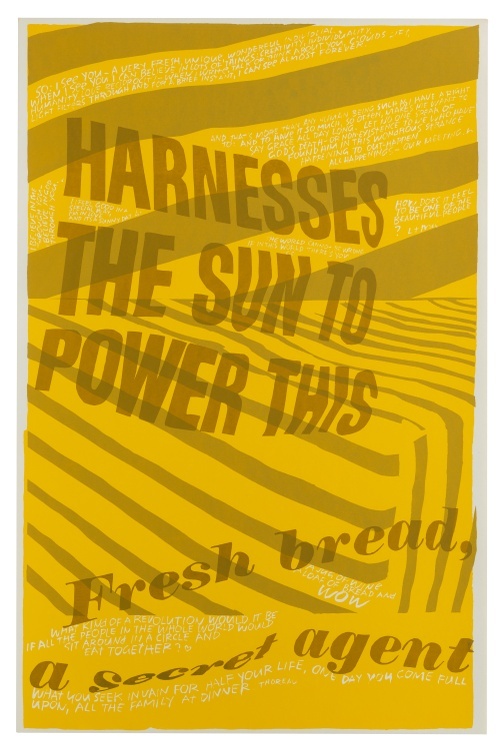 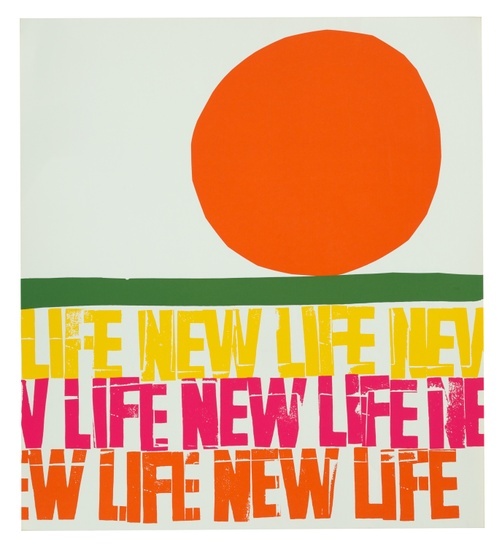 Corita Kent (1918-1986), a Roman Catholic nun from 1936 until she left the order in 1968, used printmaking to raise awareness about vital issues like poverty, racism, and war and to spread messages of peace and social justice. 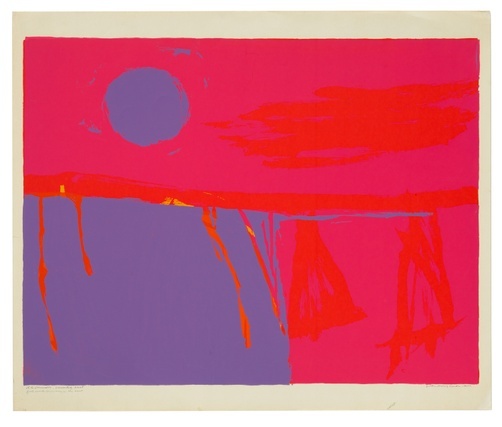 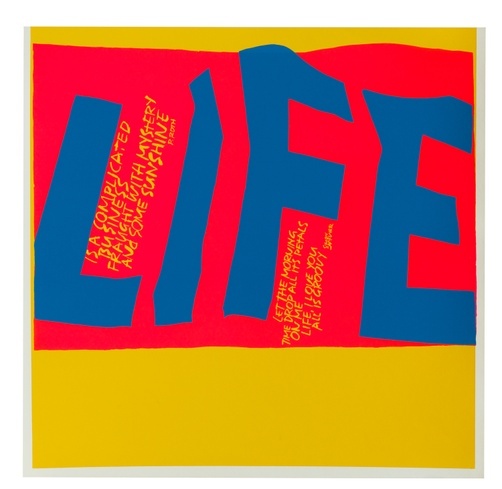 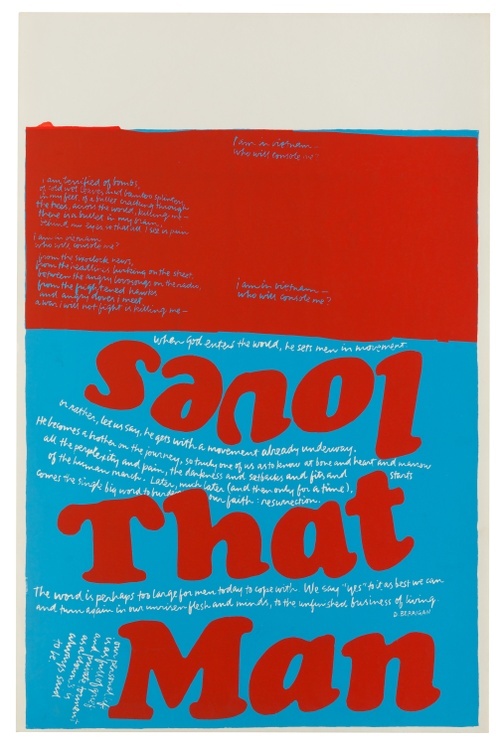 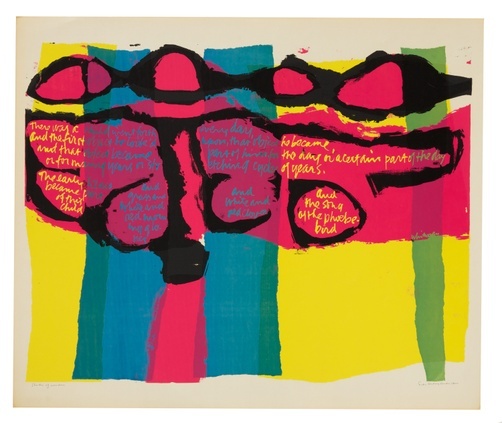 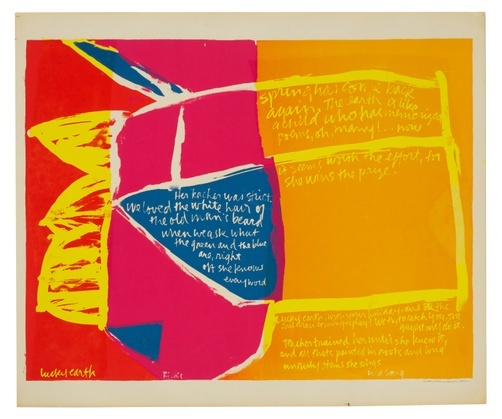 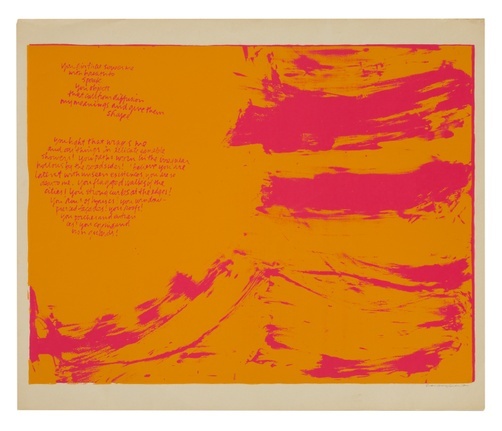 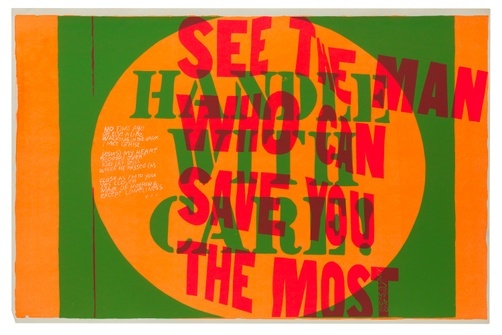 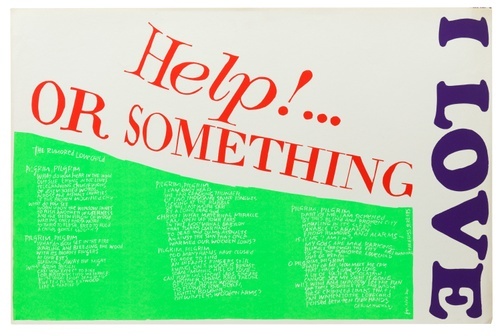 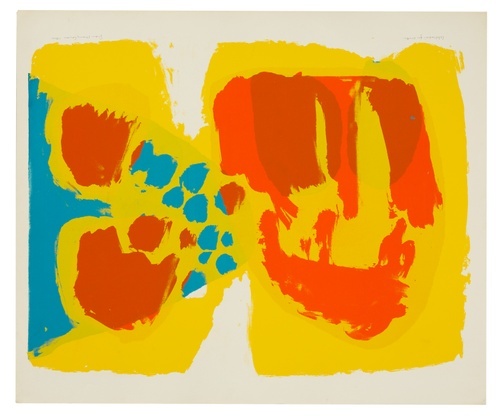 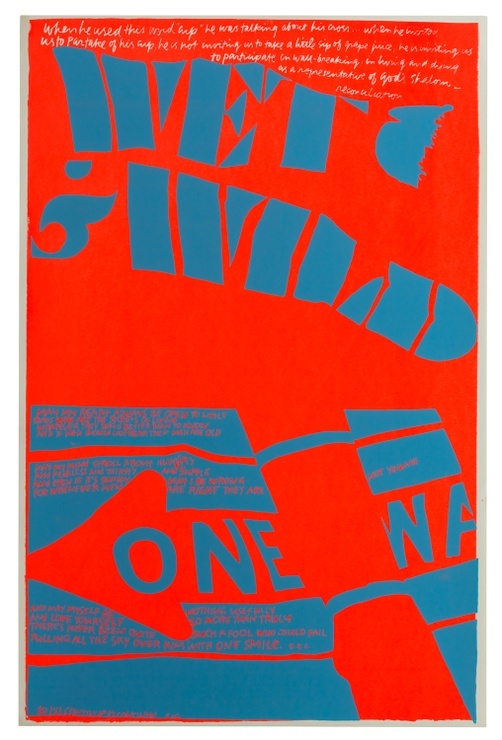 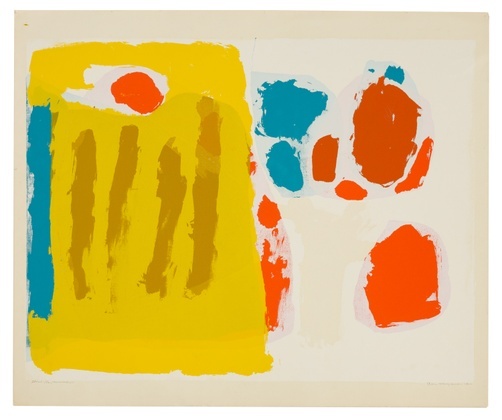 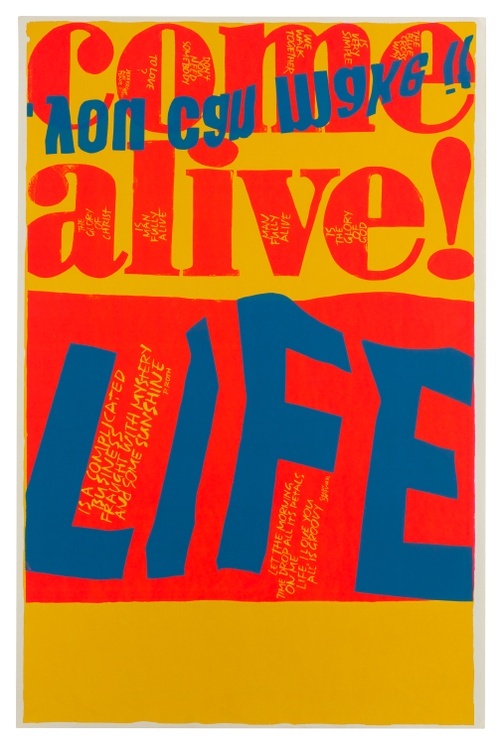 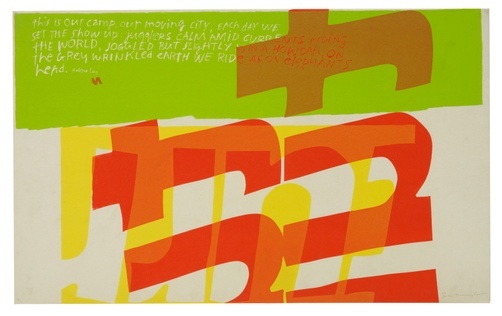 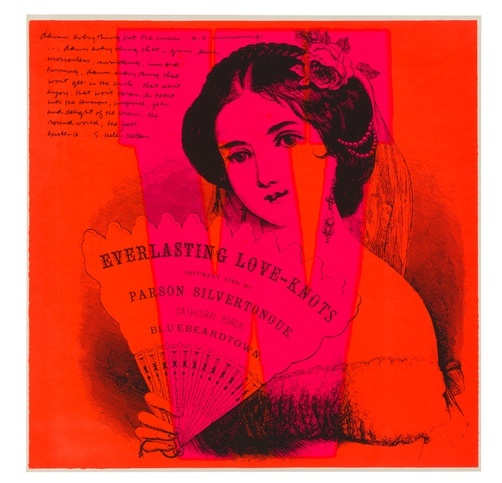 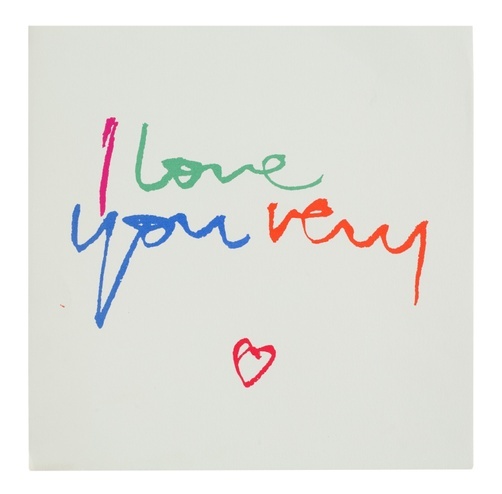 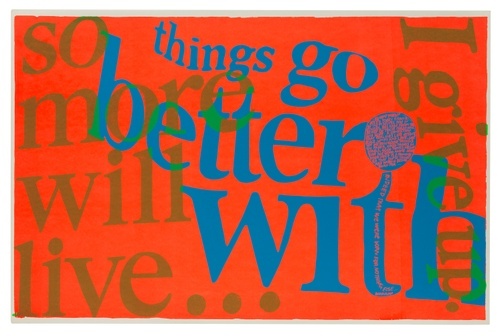 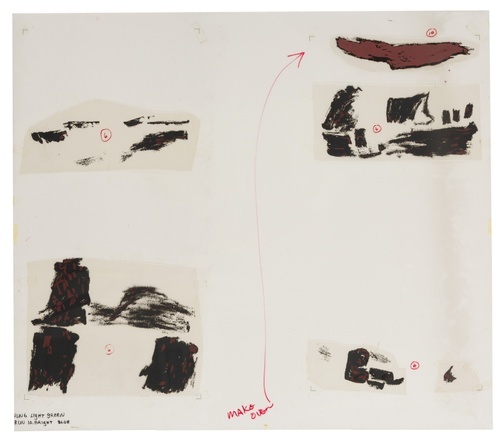 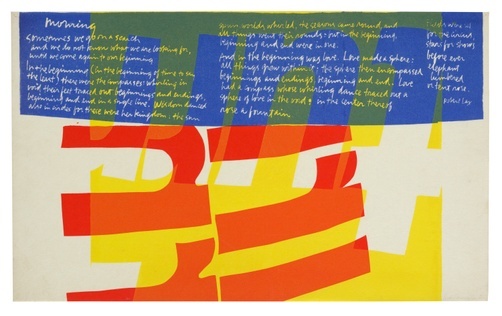 The Tang’s Corita Kent Collection includes more than 450 works, including finished prints as well as uncut sheets, trial proofs, and other working material. 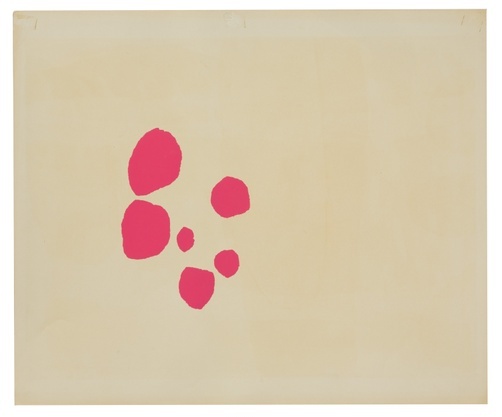 title unknown (pink spots on verso of celebration for easter), n.d.
title unknown [to believe in God is to know that all the rules are fair], n.d.